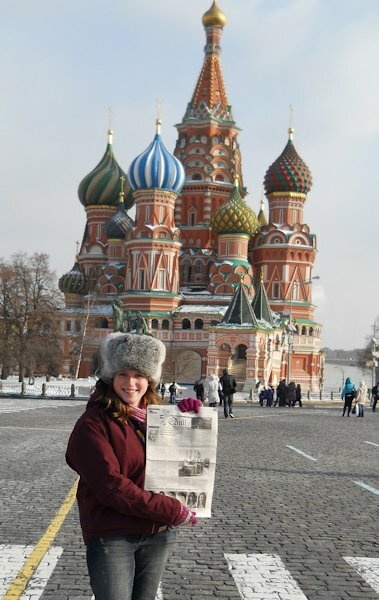 Sarah Ziegler took "the Quill" along on her spring break trip to Russia. She is standing in front of St. Basil's Cathedral in the heart of Moscow. Sarah and 16 other students from Western Illinois University traveled to the cities of Moscow, Ryazan, and St. Petersburg where they met new friends, visited famous landmarks,and toured farms and factories. When you go on a trip, take "The Quill" along and have your picture taken with it, then send it to us. Let's see where all "The Quill" can travel.